GIWEH International Conference on Water Resources and Environmental Management (ICWRE) is a series of conferences organized in cooperation with UNESCO-IHE Institute for Water Education, Ecole Mohammadia d’Ingénieurs, United Nations Environment Programme (UNEP), World Intellectual Property Organization (WIPO), Food and Agriculture Organization of the United Nations (FAO), University of Geneva, Miahona. ICWRE-2011 was held on 20-24 November 2011 in Marrakesh, Morocco; ICWRE-2013 was held on 09-11 April 2013 in Geneva, Switzerland. 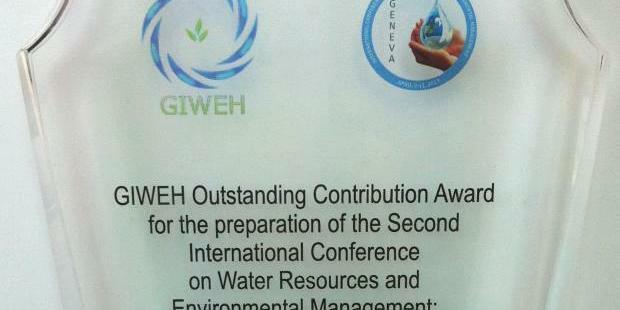 The GIWEH ICWREs aim at bridging a gap between policy, science and practice in the field of water and environmental management; becoming an efficient discussion platform for European, Middle Eastern and African stakeholders; contributing to debates on environment related topics that take place on national, regional and international levels; sharing knowledge and raising awareness of environmental changes. This patent landscape report on desalination-related patents identified 4551 patent families (including utility models) that claim inventions related to desalination of water, and 921 families describing the combination of desalination technologies with the use of renewable energies. Based on this patent collection various patterns of patenting activity and innovation in the area of desalination are detected, with a separate focus on the use of renewable energies for desalination. A comprehensive explanation of the search methodology and history (including all search queries), and of the evaluation of the search results is included and illustrates how patent information can be retrieved and exploited in the area of desalination. The searchable and sortable patent database includes all 921 patent families, relevant bibliographic data and some added information, e.g. which type of renewable energy sis included. Each family is linked to the Espacenet database of the European Patent Office which enables verification of the INPADOC family information and related legal status of family members, where available. The database is complemented by a visualization of various statistical analyses of the collection of 921 patent families.